I already held a certificate in exercise and sports nutrition but wasn’t gaining any long term success with clients. I always knew eating challenges weren’t about food per se, having suffered with bulimia for 7 years, and I wanted to offer something life changing for clients, and know more about myself in the process. I found the Institute for the Psychology of Eating and I knew that it was going to change the game with my practice, and it has! I love being an Eating Psychology Coach because I know that what I’m offering to people is more than just another diet or meal program. I’m offering the tools and coaching they need to truly change their lives by empowering them to be vulnerable and intimate with themselves and others. They have more courage to face the challenges they’re going through. My education has led me to so many different people, clients, and opportunities that never would have happened had I not had this specific Training. People are interested when you talk about the psychological side of eating and how their emotions and life reflect the way they eat; they can sympathize with that. People are looking for something different, everything else has failed them, and this is an aspect of health and eating that most people haven’t heard of before. People are willing to try something that’s not another diet. My favorite part of the training was all the information I learned. Marc David really over delivered in the lessons that were taught. Truly, the information is priceless. 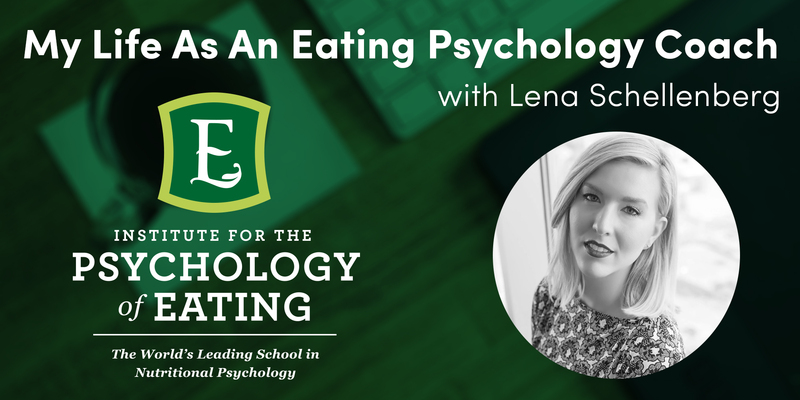 Being an Eating Psychology Coach has impacted my personal life on so many levels, I don’t even know where to begin. Embracing my femininity and learning to love and listen to my body has been life altering. I always had walls up to protect myself, even if that meant hurting myself in the process. Letting go and accepting my story really helped me break free from a lot of shame I experienced in my past. Like I said, I’m writing a book right now. It’s about changing your mindsets around food and body in order to transform our lives and our health. I’m running my business, taking personal clients, and hope to do some public speaking soon. If you want something different than every other diet or meal system that actually works, Eating Psychology is the way to go. Once you dive into what true health really looks like, nothing else will satisfy. BIO: My ultimate passion is nutrition and seeing people’s lives change by the choices they make with food. My interest in the food/body connection started in my late teens as I suffered through an eating disorder that lasted 7 years. I knew that the issues in my life were reflecting my food choices and the way I behaved towards food and my body, and was compelled to dig deeper into this intimate connection. After spending countless hours doing my own inner healing, formal research and talking to professionals about how to overcome my eating disorder, answers and insights began to emerge. I’d like to say that everything changed in an instant, but it certainly did not. I refrained from the physical act of bulimia but still had disordered thinking about food and body. That’s when I found The Institute for the Psychology of Eating. Already holding a certificate in Sports and Exercise Nutrition, I knew that I needed something different for myself and my clients that would truly help them overcome any eating challenge they might have by helping them look into every other area of life that may be affecting their choices. The more work I began to do, the more healing that took place and the more confident I became in who I am as a person and as a practitioner. My mandate is to help people succeed with food and body challenges by giving them practical and useful tools, powerful insights, and realistic strategies.